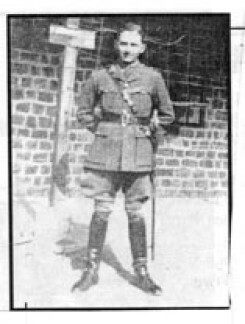 Lt-Col Burleigh Sutherland was the fourth son of Honourable and Mrs Minnie Sutherland. He was born October 6, 1904 and attended Dickson’s School, Ingersoll Collegiate Institute and Royal Military College in Kingston. He served in Bombay in 1929 and was posted to Queen Victoria’s Own Madras Sappers and Miners in Bangalore. He saw service in Razmak, Waziristan during the Hindu-Moslem riots from 1930-1933. He was promoted to Captain in 1936. He was on active service in Waziristan from 1937-1939. In 1939 he was promoted to temporary major and went to North Africa with the 12th Field Co. 4th Indian Division where he was in the Western desert and Eritrea and took part in operations that resulted in the capture of Keren and Massawa. In 1941 he returned to India, and in September 1943 was sent to Burma. He was promoted to Lt. Colonel in 1949, and was awarded the Order of the British Empire and the Distinguished Service Order Medal. After the war Burleigh served in Germany and England until he retired in October 1952. He returned to Canada and was a civilian officer in Ottawa in the Department of Defence, where he helped organize the inspection staff for the Works Service of the Royal Canadian Engineers. He retired from there in 1963. Burleigh died in Ottawa May 6, 1978.